To describe this French craftsman as “prolific” would be an understatement par excellence. His oeuvre is expansive and very diverse and it is not for a lack of trying to cover all aspects of it, as there is a myriad of books tackling his output from a vast array of angles – angles which tend to change throughout the ages. Barthelemy Jobert is a luminary when it comes to his subject, i.e. 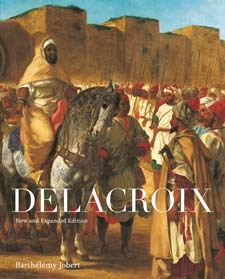 being professor of Art History at the university of the Sorbonne, his tome on Delacroix is informed by the extensive access to his illustrations from all major galleries in France along with elaborations on Delacroix’ ornaments that adorn Paris’ public buildings, which is particularly interesting as most of them are usually not open to the public. Despite his academic background, Jobert shares his insights in an accessible and engaging manner that caters to both the uninitiated as well as the scholar. His book is thoughtful, well-paced and he does not hold back with his conclusions and how he arrived at them. If you are not familiar with Delacroix, it is hard to imagine that you could source a better guide to induct you. What I like about Delacroix is the ferocious manner in which he borderline attacks motifs, which radiates from his paintings. This opulently illustrated book does justice to the detailed depictions of blossoms along with topical biblical and Shakespearean compositions, his strong grasp of architecture and the authentic and attentive homages to wild life, which still inspire terror and awe in equal measures. If you are remotely into 19th-century European art, it would be your loss if you missed out on this frank portrait of Delacroix – an artist that is commonly considered both the first modern artist and last classical artist. An artist whose emissions elicited a powerful riposte that is partly due to his adulation for the old masters, which reverberates in each of his paintings. Salvador Dali and his works spring to mind. Not necessarily Chicago, however, as this book illustrates the windy city and the Midwest in general seemed to have been fertile ground for surreal artists in the mid of the twentieth century. A Home for Surrealism depicts those paintings, which were created by artists that took the European school of surrealism, reflected on it and made it their own. Their redefinitions of surrealism run the gamut from upbeat daydreaming to having the abyss of nightmares gazing back into you, depending on the individual psyche of their creators – which is an interesting point of difference: Traditional surrealism was more or less a movement of sorts, partly politically inspired, while the American equivalent is more of an exploration of the mind and imaginations spurned by it. The book comprises meditations, depictions of landscapes, self-portraits and many other styles created with different media and methods of painting. If one had to determine a common denominator, it would be the meticulous approach and the nuances in which things are intentionally wrongly depicted. If one was to contextualise the Midwestern surrealist movement of the 1940s and -50s, it stood out against the predominant trends of the era, an era where abstract expressionism reigned supreme, by interpreting the European movement as something more personal and accessible and merging it with fantasy – fuelled by jazz, blues and Beatnik traditions. 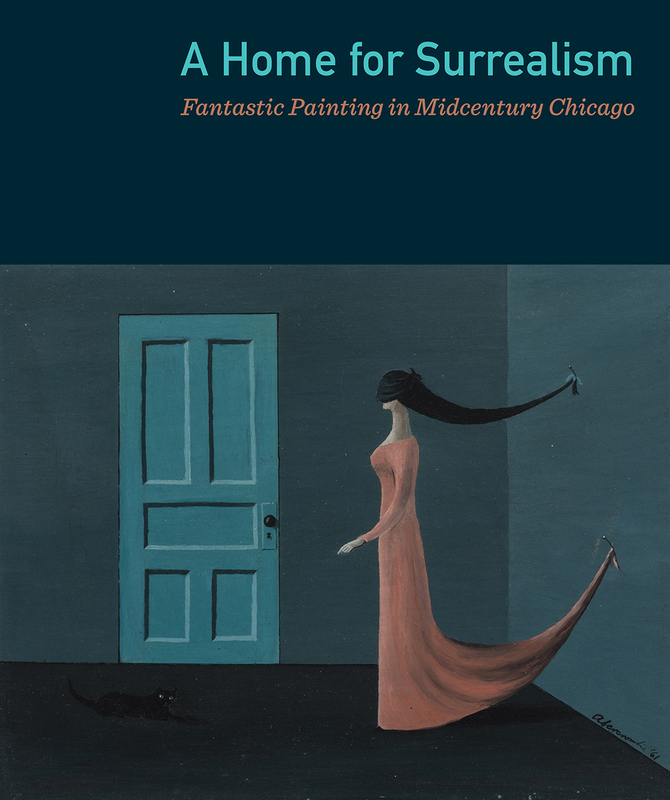 The book supports the notion that Surrealism in Chicago, i.e. the refusal of the status quo and the embracing of the unreal, in Chicago shaped and reverberated through the arts scene in the Midwest ever after – along with what appears to be an innate desire to question and redefine things that seem to be set in stone.